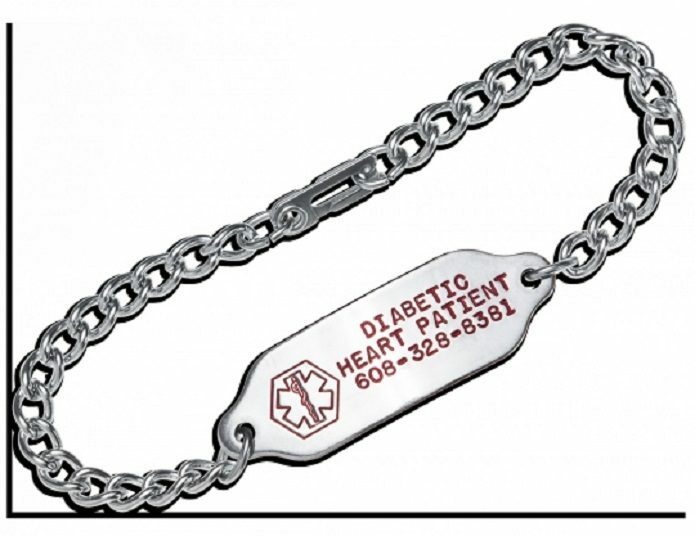 In an emergency, medical ID bracelets or necklaces can speak for you and save your life. If you are unconscious or unable to speak, medical ID jewelry can alert emergency responders and doctors to your medical condition so they can provide you with the treatment that's right for you. The Kidney Foundation is pleased to offer low-cost customized medical identification bracelets or necklaces for kidney dialysis and transplant patients. We cover a portion of the cost of the medical jewelry, and the patients are asked to make up the difference. Anyone in our 28-county region can take advantage of this program (outside of our region, or outside of Pennsylvania, please contact us for pricing). Emergency personnel often look for a medical ID; more than 75 percent check for a medical ID immediately upon assessing the patient. If you’re wearing a medical ID, it won`t be missed.